Within the increasingly competitive and price and promotion-led men’s formal wear sector, T.M. Lewin faced a race to the bottom with their current marketing approach. Retailers had become reliant on discounting to drive increases in sales revenue, and consumers were beginning to choose the brands they bought from on the strength of the deal alone. We had to do something different in a market that was saturated with “more of the same” and establish the brand as the shirt maker of choice for a new generation of customers. We partnered with “Mr. 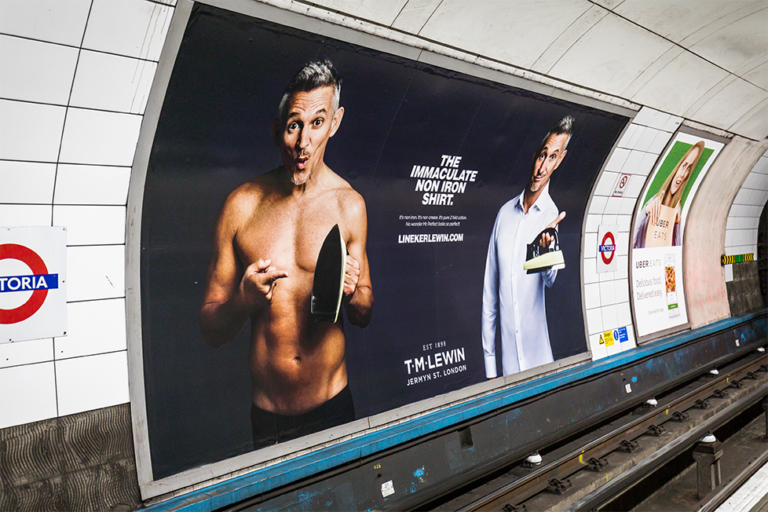 Perfect” Gary Lineker, the man who was never booked in a football game, to represent the perfect shirt from T.M Lewin. 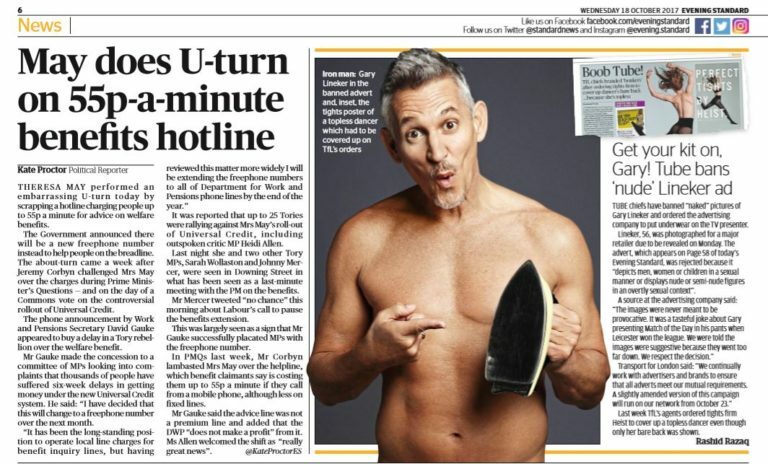 The “tease and reveal” campaign built intrigue by initially (and literally) exposing Gary but not the brand behind him, using tactical PR coverage and paid social to amplify the activity. Once public curiosity peaked, they exposed him again, this time wearing his T.M.Lewin shirt, tying him back to the brand promise. 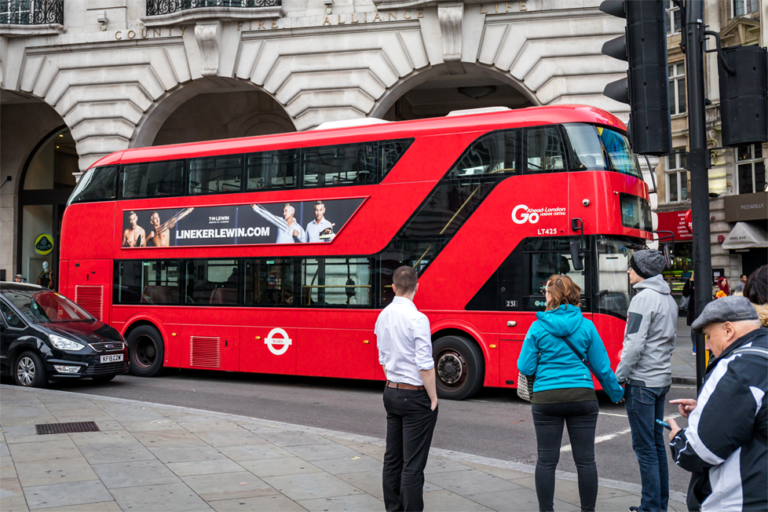 The campaign delivered an impressive £1.5m of free earned PR through significant press coverage (3 times the paid media investment) but also importantly drove an increase in sales revenue. In London, City and West End stores year on year sales were up from +2.47% pre-campaign to +12.68% in the first 4 weeks after the campaign reveal – a YoY revenue increase of £211k. In-store sales associates also reported strong anecdotal feedback of reappraisal from.